Great location in the heart of UNESCO World Heritage city Luang Prabang! 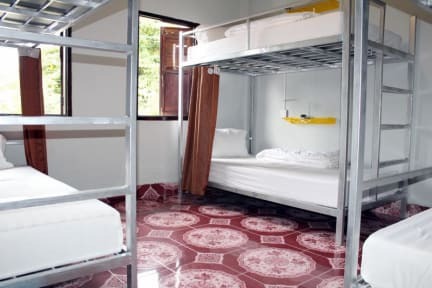 Aham Backpackers hostel is located at the foot of Mount Phosi , with lots of shops, restaurants and bars within five minutes walking. is an excellent value The main tourist area. 300m from Night Market with 4 minutes walking & Royal Palace is 800m just 13 minutes away on foot. 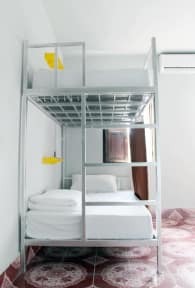 Our rooms have fans, AC, and comfort beds (Western size), and our facilities include free WiFi, lockers, common areas upstairs and downstairs, and warm showers.